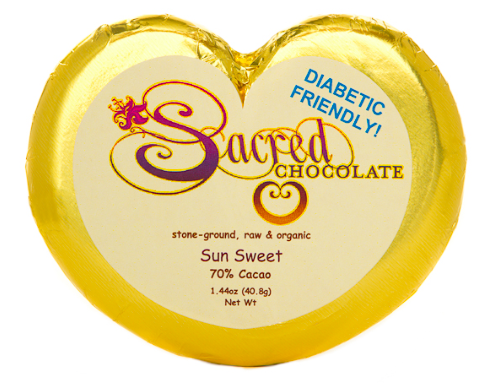 Blog posts tagged "sacred chocolate"
Introducing another special Heart Shaped Chocolate from folks at Sacred Chocolate. 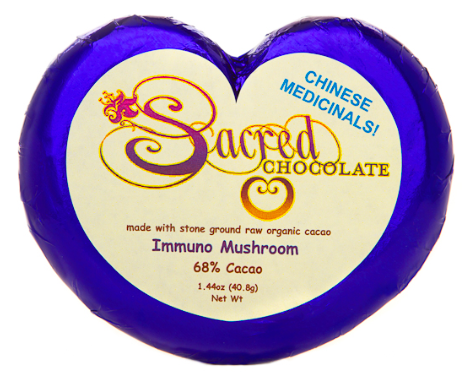 Sacred Chocolate is perhaps our favorite raw chocolate company. Their products are consistently top notch. The flavor profile of each bar is complex, the texture smooth and inviting and the bar is shaped like a heart! 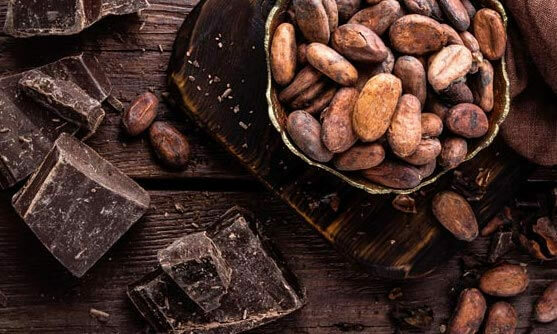 chocolate which uses INULIN from Jerusalem Artichoke as a sweetener. and is considered good for the intestinal flora. Recently, Sun Sweet scored high on Dr. Gabriel Cousens' special energy test. This chocolate is semi-sweet bordering on bitter-sweet. 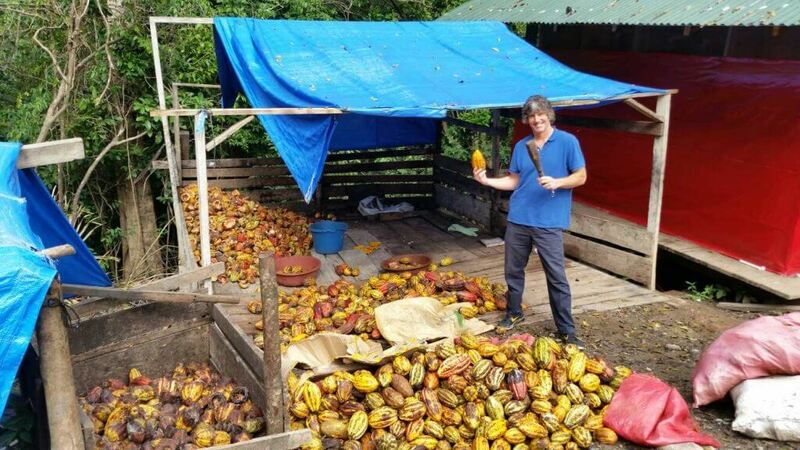 The cacao beans currently being made into SUN SWEET are sourced from Ecuador and Peru. At 70% Cacao Content, this is a semi sweet chocolate. beautiful to behold, but also raises the frequency of the chocolate. hand poured & hand wrapped. 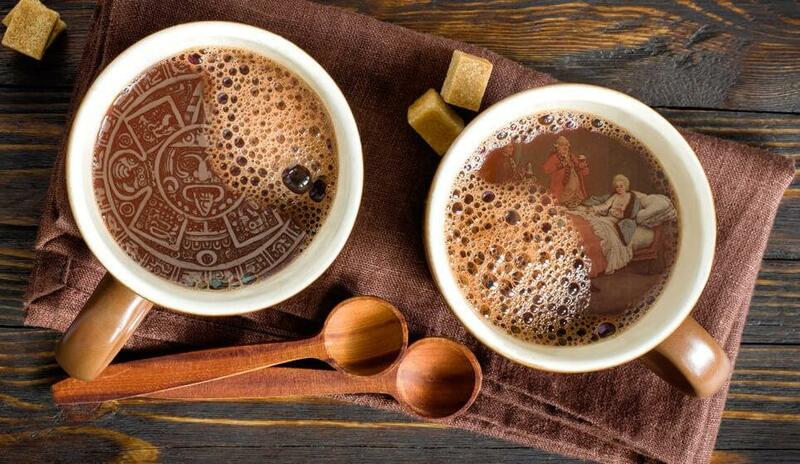 All Sacred Chocolate is prayed over and blessed by the loving workers at Sacred Chocolate. Heart chocolate bar is hand poured & hand wrapped. This list is the cream of the crop in terms of medicinal mushrooms. Research has been done and continues to be conducted on the array of benefits these mushrooms have on our health. Many have shown promise at boosting our beta-glucans, improving our cholesterol levels and helping to protect the liver. And, now they are all available in convenient heart shaped chocolate bar form. These statements have not been approved by the FDA. This chocolate bar is not designed to to treat, cure or prevent any disease.